“Especially when it comes to the financial sector or gaming, people need answers in real time,” said Joe Stefaniak, CEO of IntelligentTag. From slots and games to guest services to financial systems, casinos are chock full of data sources. Whether you’re troubleshooting a slot machine or running multiple casinos on a Friday night, you need a real-time view into all of that connected data. A traditional RDBMS approach to big data was just too slow; you need a graph database. 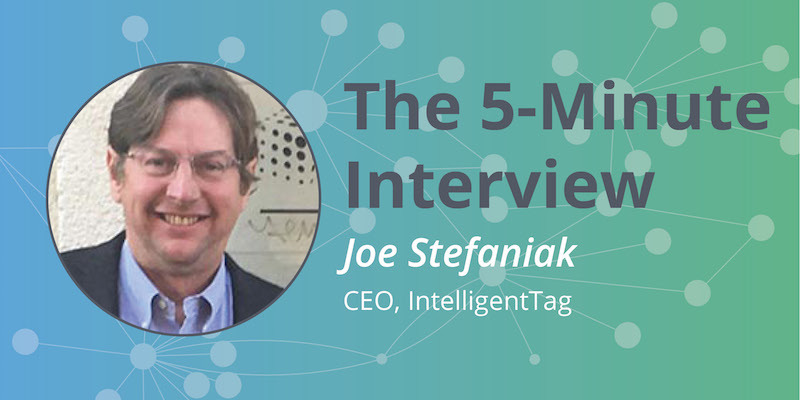 In this week’s five-minute interview (conducted at GraphConnect New York) we discuss how intelliTag’s Symmetry, built using Neo4j, surprises and delights customers by providing live answers from disparate data sources as well as the importance of AI to the future of the industry. Talk to us about how you guys use Neo4j at IntelligentTag. Joe Stefaniak: Our focus at this time is on a product called Symmetry3. Symmetry is being positioned as a total property management system for casinos, a casino in a box. What we’re looking to do is integrate all of the disparate data sources within a casino – of which there are quite a few – and bring them into a normalized layer to create a holistic view of how people are moving about the property, understand property loyalty and understand how to plan and optimize the casino to ensure that each guest gets the best possible experience. That normalized layer uses Neo4j. Stefaniak: Our background is in the financial services sector, so we were doing a lot of data governance work. And with Symmetry, we continue to do data governance so that whether the user is an executive or a slot tech, they see only the data they should have access to. In developing Symmetry, we found that the amount of data being generated through data lakes was so large the performance of our traditional approaches like relational database management systems (RDBMS) – especially doing a recursive analysis – was incredibly slow. So we applied that linking of disparate data sources, which is prevalent in many different industries today, to the gaming industry, and we realized that the Neo4j graph database was not only allowing us to quickly integrate the disparate data sources but do the analytics performantly. Especially when it comes to the financial sector or gaming, people need answers in real time. If a guest complains that they didn’t get credit for the amount they just played, managers need the real story right then and there. 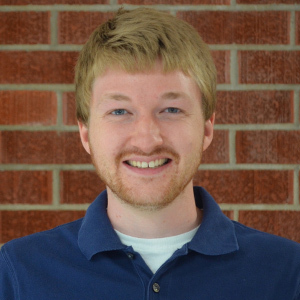 Can you talk to me about some of the most surprising results you’ve had while using Neo4j to create Symmetry? We’re able to reach everyone from, in this case, a slot technician on the floor who’s responsible for the health of the slot machine in real time to the executives. In the casino industry, what we have today is a model where the executives are managing multiple properties. Executives are able to see not only one property, but all the properties they are managing. With the ability to federate Neo4j through Symmetry, we’re able to point to multiple Neo4j instances and roll that all up across a multi-property view to create a holistic view. And, again, that’s an aha moment for these executives. They say, “Wow, I didn’t know this was doable.” And to have it done so quickly is a great value-add. Stefaniak: Honestly, I don’t know if I would change anything. I was a very big proponent of open source. What I worked on in my prior years, and I’ve been in the industry for about 35, was typically proprietary stacks. And in today’s world, those stacks are just not being taught in schools or they’re closed systems, where they can’t integrate with an operational ecosystem. You have to be able to do that. So when we started IntelligentTag, I think one of the things we did first, and we did right, was to look for a community player. One that supports the community. One that is bringing up the next generation of data scientists, analysts, programmers, experimentalists, whatever you want to call them, because they are the next generation. They do think differently. They think openly. From a technical perspective, the cost to market and the ability to integrate in a community. And whether it’s Neo4j or all of your partners who are offering your community, APOC (Awesome Procedures on Cypher), graph algorithms library, or your open D3 engines to integrate with a graph. The ability to scale and to leverage the community allows us smaller companies to look like a big company. What do you think the future of graph technology looks like in your industry or sector? Stefaniak: Well, I think not only in my gaming sector, but I think in many sectors, the future is in the machine learning, reasoning, and artificial intelligence space. We have people who think in their own semantics, and they have their own roles, and being able to apply those semantics to their data is going to be the future, period. Gaming and finance are going to be directed by compliance rules and regulations, especially gaming. Frankly, it’s a relatively unregulated industry today, but it will be a $100 billion market this year alone. That’s a lot of money, and when you have that kind of money, you have to have some type of regulation. So I think you’re going to see in the near future, again, the machine learning, the artificial intelligence, and the governance and compliance element as well. Stefaniak: We’ve been very happy with Neo4j and our partnership with Neo4j. They’ve been there from day one from a support perspective, all the way to helping us to penetrate verticals. It’s been a great partnership thus far, and I look forward to many years to come. Good share, it’s obvious that casinos implement Kiosk technology that provides a different kind of services to the audience, the managers make the most of these devices by monitoring & entertaining people in real-time using the devices that are used in kiosk mode with the help of a kiosk lockdown solution, an impressive way to keep the audience engaged and build a goodwill.